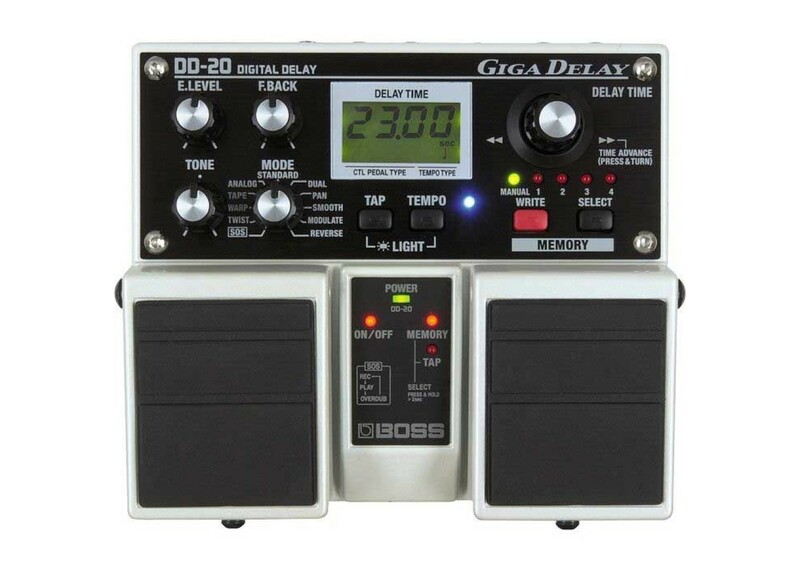 The flagship Boss Delay that you see on pedalboards everywhere - DD-20. 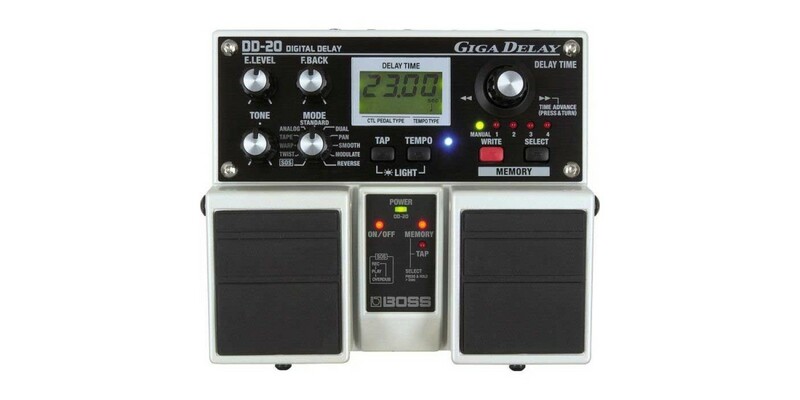 The Boss DD-20 is a full-featured delay pedal that sports up to 23 seconds of delay time, which is completely adjustable - down to the millisecond. Featuring 11 delay modes, you can get everything from pristine digital delay to vintage style tape echo. With the built-in sound-on-sound looping function, you can create everything from short samples to longer passage loops - great for practice, stage or just those creative moments. You can save up to four presets, so once you dial-in that perfect sound - it's yours forever.